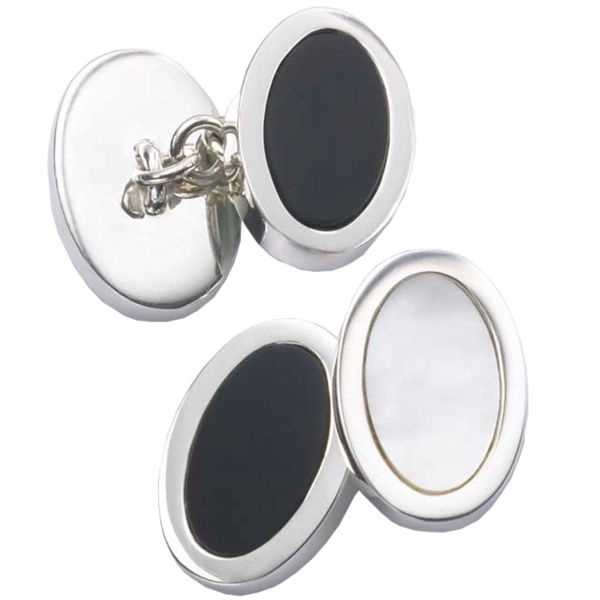 British retailer Charles Tyrwhitt gives us these exceptional mother of pearl and onyx cufflinks that’ll add a touch of elegance to your suit. Made from silver and featuring contrasting mother of pearl and onyx, these chain link cufflinks are sure to make you stand out from the crowd. Purchase yours online from Charles Tyrwhitt. This entry was posted in Cufflinks and tagged Charles Tyrwhitt. Bookmark the permalink.